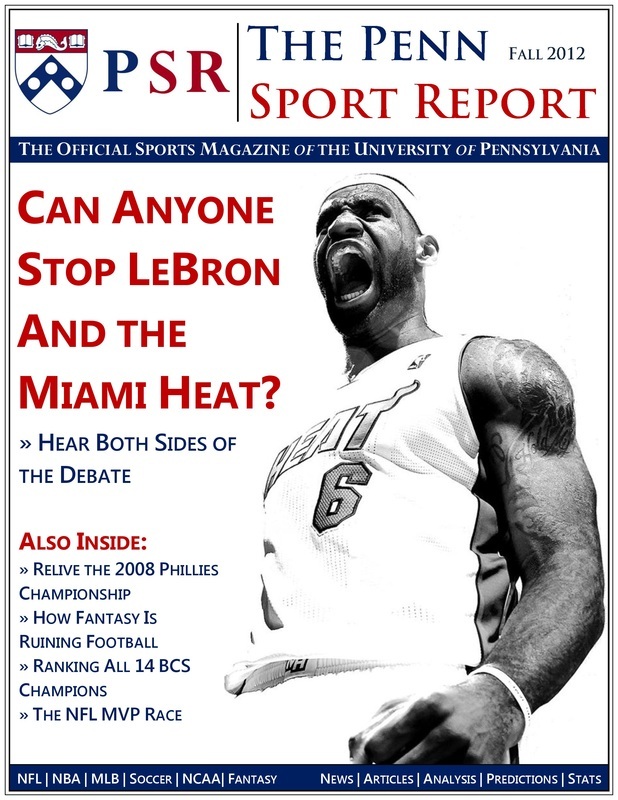 As an undergraduate student, I founded The Penn Sport Report, the official sports magazine of the University of Pennsylvania. I began the magazine in October 2012 with the goal of connecting the sports fans in the Penn community to their favorite teams and sports. The Penn Sport Report brought Penn students, faculty, and staff fresh and insightful analysis about the latest news in sports, ranging from analysis of X's and O's to player and team evaluations.